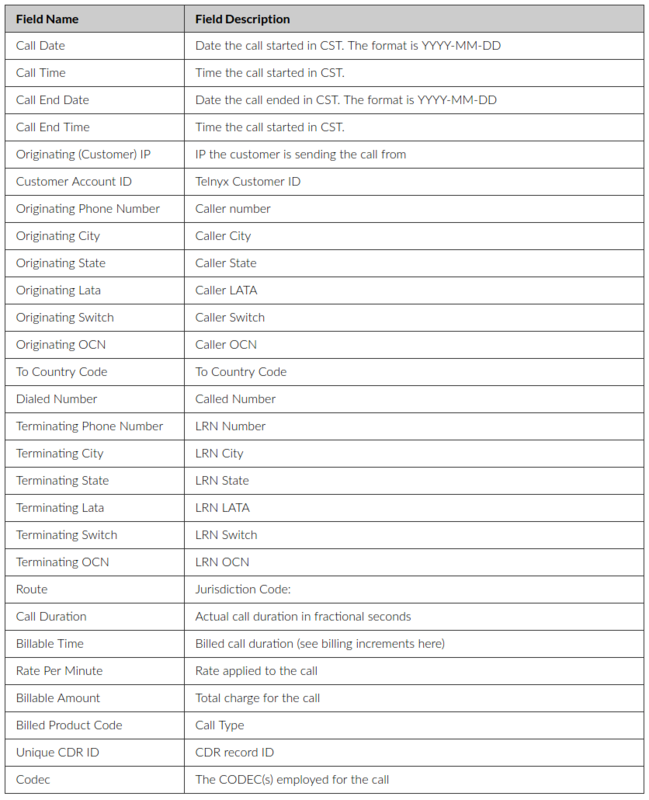 A Telnyx Call Detail Record, or CDR, is a concise report that details the data for each one of your calls. To generate a CDR, log-in to your portal account, go to the Reporting section, and request a CDR report. Usage reports can also be generated here by clicking the “Usage reports” at the top of the Reporting section.